Ok, so a question for all of you camera gurus out there. Last year I got a Nikon Coolpix L330 camera for Christmas so I could start capturing still photographs. Up to that point I had done strictly video. I have had moderate success shooting in the daytime, after all practice makes perfect! However when I go to shoot at night no matter what I do the camera always has trouble focusing. The lights always seem to make the image extremely blurry and I never have been able to figure out why the camera doesn't like to focus at night. Can anyone help me out with this problem? Do you use a tripod? Do you take control of your exposure? Do you understand how the cameras settings work in order to shoot at night? That is the start to it, I am no expert at it either. Many other members here are much better at night photography and photography in general then I.
Ypsi wrote: Do you use a tripod? Do you take control of your exposure? Do you understand how the cameras settings work in order to shoot at night? That is the start to it, I am no expert at it either. Many other members here are much better at night photography and photography in general then I.
I plan on acquiring a tripod soon to minimize blurriness in my photo's. I do not understand what exposure is, so I obviously need some more education and maybe read the manual some more. Nighttime photography often requires a longer exposure time to capture enough light to render an image. This means simply holding the camera results in blurred images. Tripod is require! Well that camera does not offer manual focus, and you'll need something with contrast for the camera to focus on. I suggest making a dark grid on a piece or two of white poster board and using that to set the focus before snapping the photo. Of course, you'll need to put some light on the board(s) for the focus to work. You will also need to keep the shutter button halfway depressed to hold the focus until the board is removed and the scene is reset. It actually makes perfect sense that your camera doesn't like to AF at night. AF sensors need light. The lower the amount of the light, the more difficult it is for your camera's AF system to work. Even if you have contrast in the scene, if there isn't enough light the AF will hunt and hunt. Definitely try what Brian said. A bright flashlight or one of those million candle power spot lights shining on the subject (or something close to the where the subject will be) help immensely with focusing as well. I used a spotlight to illuminate the bridge, which was in total darkness, so I could focus my camera before the train arrived. So basically I just need more light is what your saying? MQT1223 wrote: So basically I just need more light is what your saying? More light or a tripod. My freinds and I have shot star patterns with nothing but star light but we've always used a tripod. For very long exposures we use one with a clock drive but you won't need that for RR photos. Here's one I shot with tsimons and lsrc in the summer of 2014. It's a 3 minute exposure that is being lit by an approaching train. Just put the camera in BULB mode, focused manually on the bridge and with my cable release held the shutter open for 3 minutes or so. the biggest issue is you have to shoot in full manual at night. Any type of auto focused or auto exposed image will usually be too dark for most cameras to operate properly. "Exposure" is how long your camera takes the picture. On automatic settings (just turning the camera on and taking the picture) the camera chooses how long to take the picture for (aka how much light to let it). During the daytime it's obviously much brighter out, so your camera only needs to take a picture for a very short time to get the picture looking right (typically something like 1/640th of a second, so faster than you can even blink). However, at night, there's obviously a lot less light out because...well...it's dark out. So your camera takes a much longer picture to try to get the same amount of brightness in the photo. This is where a tripod comes in handy because if you're taking a photo that's seconds or even minutes long, you're going to move while holding the camera and the photo will come out blurry. 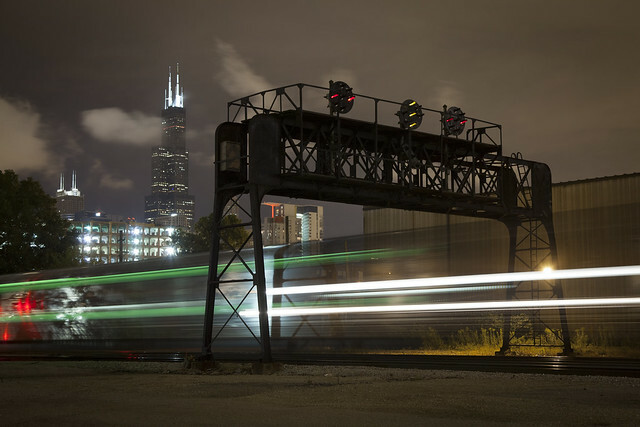 In this picture, for example, I set my camera on a tripod and took a photo that was a couple of seconds long so that the train appeared to streak under the signal bridge. If I had taken the photo in the daytime, the train would have been stationary, but because it's night time the camera had to take a longer picture so that everything didn't come out completely black. Now in regards to focusing, imagine walking outside in the dark and trying to look at a car down the street. At night, it's much harder to see the car than it is in the daylight. Similarly, at night your camera has a hard time telling everything apart because everything looks dark to the camera. Thus, it has a hard time focusing on something because it can't tell the subject apart from other objects. So I just need to hold the button down for a lot longer then press it all the way to take the picture? It all depends on your camera, Max. Most cameras have a timed exposure setting in addition. At night, I use all manual controls. I let autofocus find the correct focus, then set it to manual. As always, I shoot with manual exposure. At night I also change the white balance from daylight to manufactured light. Granted, I'm talking video here, but it is the same on principles of going manual at night over a certain level of automation in daylight. Max, it sounds like it's time to RTFM. And also do some research about your camera by reading some online reviews. One page I read stated that the longest exposure time this camera is capable of is 4 seconds. That may or may not help you produce the type of night photo you're looking for. Max, it sounds like your camera does not have a manual exposure option, therefor it would be impossible to get the kind of pictures you're describing with it. Ok. I need to learn more about my camera then. Thanks for the help guys. I am gonna get another tripod to help steady my photo's but other then that I am not sure on whether the camera will work at night until I read more or go to someone that knows more then me. To be fair, it is hard to ask questions and understand the manual when you do not understand the concept of night photography. While yes Im sure if he had read the manual first it would have told him everything he needs to know to understand that this camera may not be well suited for night photography, if he doesnt understand how to properly photograph at night then it would be meaningless. Knowing that you have no manual focus, or that the minimum shutter speed is 4 seconds does you no good if you dont know you need a longer shutter speed in the dark. Ditto for the focus issues. 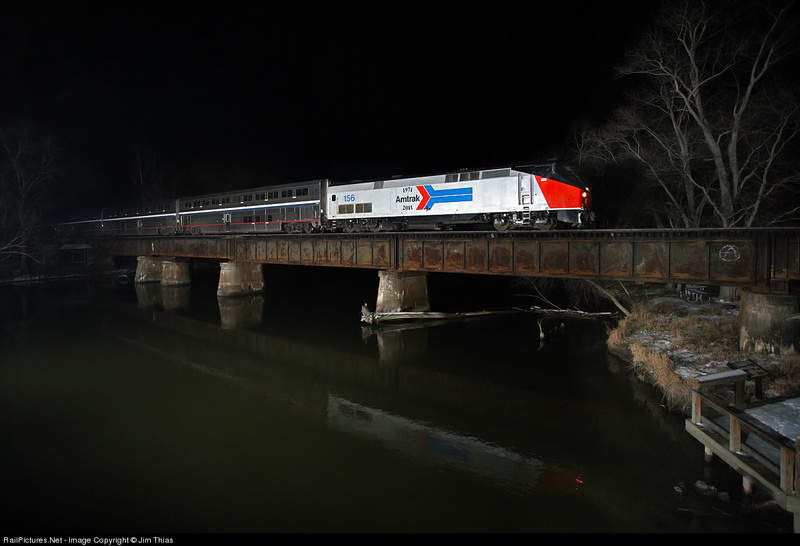 On that note, why do you want to take night photogrphs of trains anyway? I am not a huge fan of it. I know some people are but I am not. No I am asking about still photos. I film all the time at night and most of my photographs are in the day. I want to mix things up a bit, and cool things can happen at night. Actually, it's 4 words. RTFM.